A story is not a story until the Author observes it into existence. Whether an account of real-life events or the fantasies of an over-active imagination, narratives depend on perspective to make them work. They require the Author to solidify their unique point-of-view. Many Authors struggle to finish their work–even more battle to start. Without deliberate observation, stories end up all over the place–some dead on arrival. Strangely enough, an understanding of quantum theory is all they need to know to experience a breakthrough. In the early 20th-century quantum theory, along with general relativity, replaced classical theory with the discovery that the atomic world was not as cut and dried as previously thought. Schrödinger’s Cat, a famous experiment from that era, shifted our understanding of the universe by bringing in the importance of the observer to the equation. In this thought experiment, a cat is placed into a steel chamber, along with a device that contains a substance that might kill it. The device is activated to release the possible poison via a random event that we can’t control and cannot predict from outside the box. Since we can’t know, according to quantum laws, the cat can be in any state on the probability wave function and accordingly is both dead and alive in what is called a superposition of states. It’s only when we break open the box and observe or measure the condition of the cat that the superposition is lost and the cat becomes one or the other, alive or dead. The observation creates the outcome, and the outcome doesn’t exist unless the measurement is made. The storyform creates the story, and the story doesn’t exist unless the measurement–the storyform–is made. An infinite amount of stories exist—only by defining the edges and scope of the events does an Author create an actual story. Two decades in, the Internet still finds grumps who respond to the Dramatica theory of story with disdain. Hundreds of articles, analyses, and successful accounts of practical application fail to sway these party-poopers from lashing out with irrational thought. Looking at the analysis of various movies, I am kind of struck by the leeway allocated for the categories. An MC problem of Trust, for example, could mean that MC has a hard time trusting people, MC does not trust people enough, MC does not trust himself, MC trusts himself too much, people Trust MC too much or too little, MC’s relationship needs more mutual Trust, MC does not value Trust enough as an idea, MC needs to Trust his feelings or instincts or Mother’s advice, or perhaps even MC wishes he had a bigger Trust fund. This one category could really be many other Elements instead, especially if each has just as much leeway. With some clever wording, MC’s problem could potentially be 10, or 15, or 30 other Elements besides Trust. It is not surprising then, when looking at many of the analyses, it honestly looks like some of the categories are a bit of a stretch, where I would have never assigned it (unless Dramatica pushed me to). And on top of that, Dramatica gets away with any blatant inconsistencies by saying that obviously that particular movie deviated from Dramatica’s perfect theoretical structure. Dramatica is pretty tricky. Stories with trust issues should all be the same. Makes total sense. And stories should be perfectly structured. Like computer programs. Of course, the Dramatica theory of story calls for neither of these realities. Instead, it looks for an Author to make an observation–to observe Trust as a problem, and to define where they see that problem. Conflict bred from Trust exists on a sliding scale from too much to too little. When observing the source of conflict, there is no one “right” definition of Trust—only the one the Author makes. The Author is in the superposition–he or she is outside of the box. Their story is Schrödinger’s cat. The story is there within, out of sight and out of reach. It could die, lying dormant and unfinished, a consequence of indecisiveness. Or it could be released and flourish–if only the Author would remove the lid and observe. If only they would set their point-of-view. It is only once an Author observes their story, thereby defining the storyform, that their work actually becomes reality. This fact is the Author’s Paradox. The speculation that lies behind the infinite amount of possibilities of storytelling keeps the story from becoming a reality. It prevents the Author from finishing while simultaneously motivating them to write. 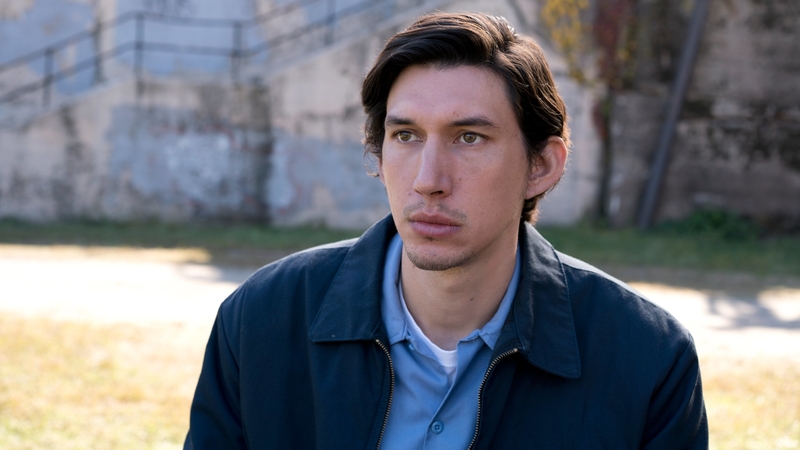 It’s only once Paterson begins to project the intentions behind his poetry that he begins to understand how to make his art a reality. He starts to understand how to complete his work. The uncertainty principle suggests that the physical world—the world all around us—is observer-dependent. Without an observer, in other words, everything would remain a wave of endless probabilities. You and I and every other life-form are not a product of the physical world; it is a product of us, because by observing it, we make the physical world what it is. The Author creates the story by setting up the storyform, by observing the narrative. By stating this is the Influence Character perspective and that is the Main Character perspective, the Author describes what they see. There isn’t one right “super” answer; there is only the solution the Author is trying to communicate to their Audience. What are they trying to project out into the world? A Dramatica storyform holds the observation consistent and keeps the narrative from bouncing all over the place. Without a storyform, the cat is both dead and alive, lost in a sea of infinite possibility–and infinite meaning. Trust is an Element that leads to a Concern of Being, of existing in a certain way. Like Trust, observations of Being cover a broad spectrum. The LEGO Batman Movie explores problems that arise for everyone when Batman won’t be in a relationship with the Joker. In The Incredibles, regulations demand superheroes to be something they are not, establishing the inequity of the Overall Story Throughline perspective. In Being John Malkovich, being John Malkovich creates conflict for all the characters. In the sci-fi/thriller The One I Love an estranged couple struggles to be happy with one another. The film makes an observation about being satisfied with the one you’re with, rather than being with the one you wish was your significant other. An infinite waveform of possibilities exists for the type of conflict each of these stories explores. Planting a flag in the general territory of Being projects a narrative onto the unfolding events. Once the Author establishes a point of Concern for the Overall Story Throughline perspective, everything else works in relation to that original observation. When an Author observes conflict as Being a certain way in the Overall Story Throughline, the Relationship Story Concern naturally falls into Doing. This relationship between the two concerns is one example of the Author projecting their story into existence. With The One I Love, the conflict in their marriage focuses on what they don’t Do well together. Examples range from the lack of doing what they used to do as a couple, their inability to play piano together, doing it with other people, to even doing it with each other—without one of them even knowing it. Each of these stands as an instance of Doing as a source of conflict in their relationship. Same thing with The Incredibles—the married couple finds the tension in their relationship over one of them “cheating” behind the other’s back. The LEGO Batman Movie traces father/son issues to driving without seat belts and infiltrating a heavily guarded area without sufficient supervision. Like Trust and Being, an infinite amount of possibilities exist for the definition of Doing. The projection—or observation—of the Relationship Story Concern in Doing and the Overall Story Concern in Being molds the boundless into shape. With narrative—and with Dramatica’s concept of narrative in particular—it is less the labels themselves, and more the relationship of the labels to perspective that defines the integrity of a story. The observation of Trust as a source of conflict is more important than the strict definition of what it means. The relationship between this measurement and conflict seen elsewhere creates the structure of a narrative. The Author’s observation transforms the infinite waveform of possibilities into a single particle of probability—an anticipation of meaning and purpose that overwhelms the endless speculation over what could be. Instead of conjecturing all the different stories ripe for telling, the Author projects a single story into existence. Deliberate storytelling is the practice of projecting intent. Observe Paterson and gain insight into the experience of crafting the world around you. The same quantum mechanics at work in that film exist for you as an Author. Observe the story you want to tell and project that measurement into reality.